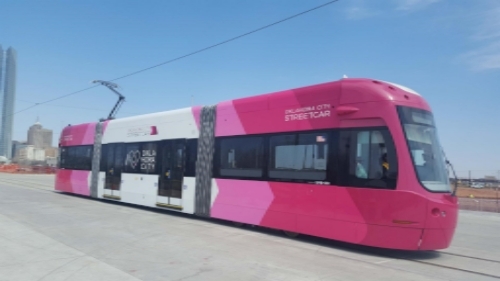 Residents of Oklahoma City and Milwaukee have reason to celebrate – their streetcars will start running this year! OKC has been testing its streetcar since June, and has been running safety messages and installing fun streetcar stop signage as part of its launch campaign. The streetcar officially begins operating on Friday, Dec. 14 with an opening ceremony and festivities all weekend long. “This is a historical milestone years in the making and one we can’t wait to celebrate with the entire community,” Mayor Tom Barrett said in a statement. And no wonder: property values along the route have already increased nearly 28 percent! In other exciting streetcar news, Orlando recently approved a $1 million streetcar feasibility study.